Do you feel at home in high mountain terrain and unique mountain landscapes? 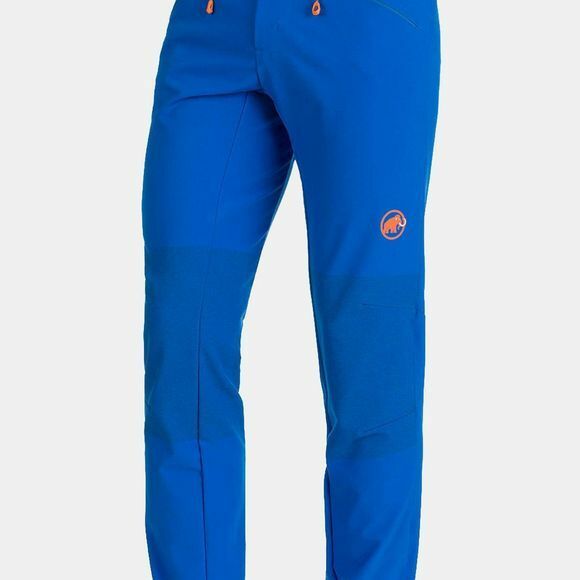 You can rely on the Eisfeld Light softshell pants from Mammut and their wide range of features at all times! The pants are made from a highly breathable, wind-repellent schoeller®-dryskin soft shell material. 4-way stretch provides added comfort - even in uncomfortable situations. 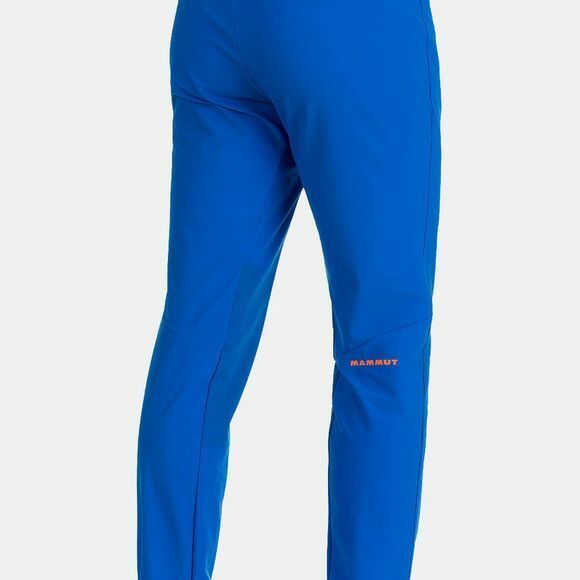 The pants also impress with their quick-drying properties, a benefit you will appreciate in changeable mountain weather conditions. The PFC-free ecorepel® Bio treatment using renewable raw materials repels both water and dirt with lasting effect, while the coldblack® treatment prevents dark-colored fabrics from overheating. Ensuring that your temperature remains constant. When you are facing a challenge on the mountain face, Mammut Seamless Reinforcement™ offers you innovative, seamless integrated abrasion protection for unrestricted freedom of movement. Mammut® Phase Weave seamlessly integrates and combines different material properties and processing methods in a single material for optimized functionality and design. Bringing the summit close enough to touch!